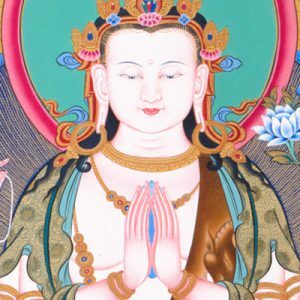 In this intermediate class, you will be introduced gradually to the extensive teachings of Mahayana Buddhism. Through these teaching you will learn how to cultivate an extraordinary mind of love and compassion and use that mind to enter into the profound discipline of the Six Perfections. Each class will consist of a short recitation practice followed by teachings and discussion. Topics will be drawn from Khentrul Rinpoché’s book “Unveiling Your Sacred Truth, Book Two: The Internal Reality”. There is a suggested donation of $10 for Drop-ins and $7 for Concessions.